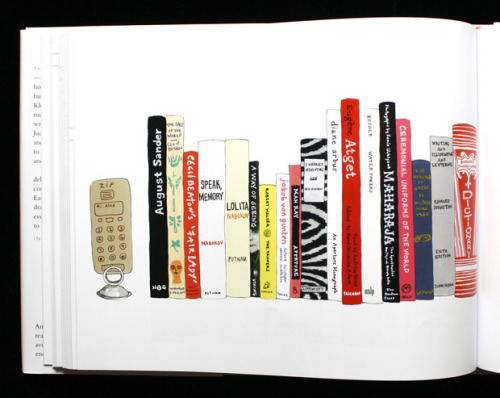 For My Ideal Bookshelf, writer Thessaly La Force and illustrator Jane Mount have tapped people like Patti Smith, Lemony Snicket, Jonathan Lethem and Christoph Neimann, and had them narrow down the books that shaped them to a single shelf. It’s a neat peak inside some interesting minds. And of course leads you to wonder what shape your own shelf might take. Me, I’m thinking Slouching Towards Bethlehem, The Boys of My Youth, Without Feathers, Miss Rumphius, Pride and Prejudice, Blood Horses, The Collected Poems of Adam Zagajewski. What about you? What would your ideal bookshelf look like?